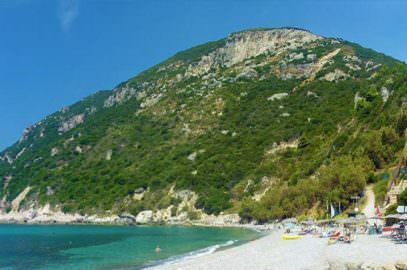 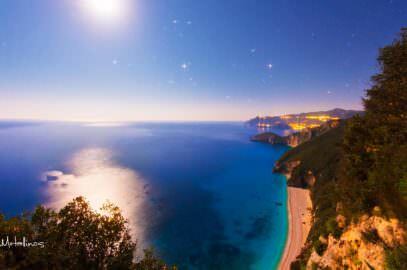 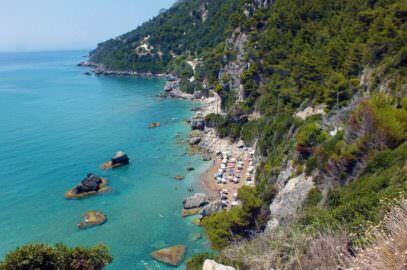 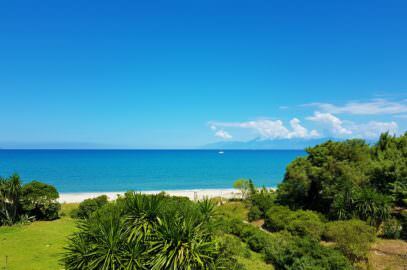 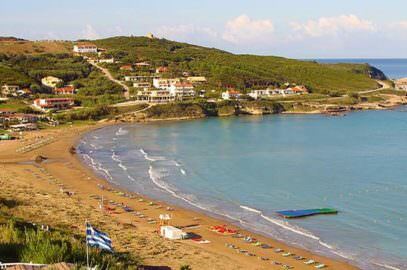 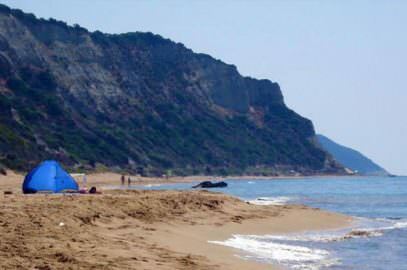 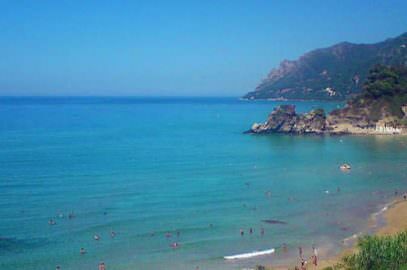 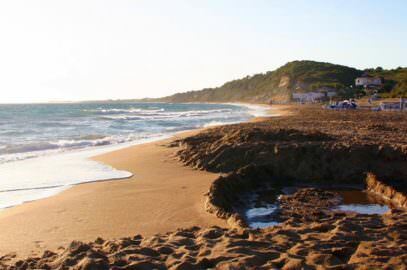 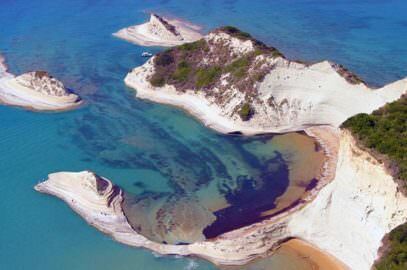 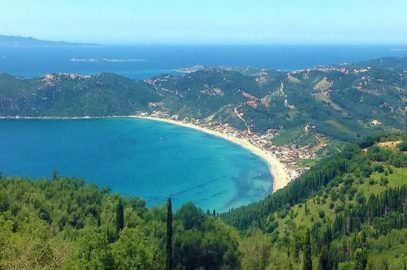 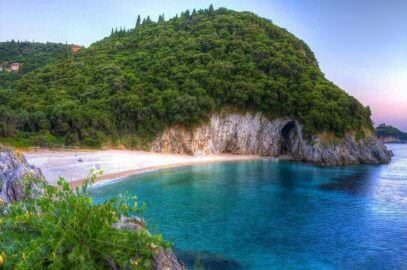 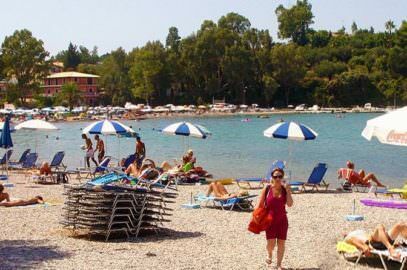 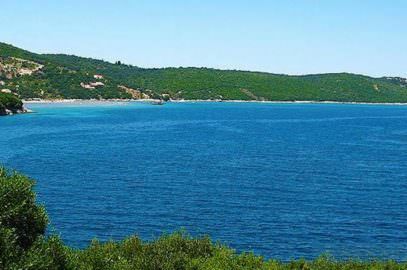 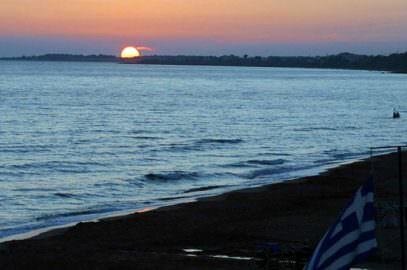 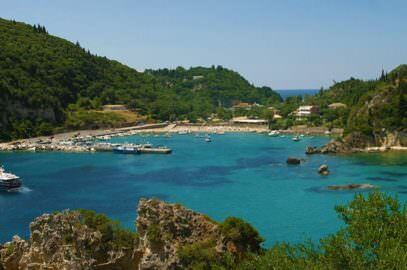 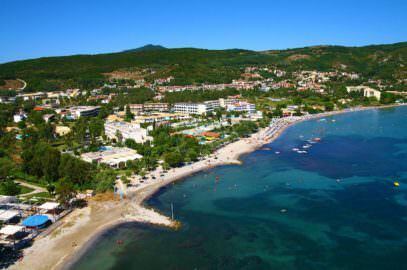 Is one of Corfu’s most beautiful and popular beaches. 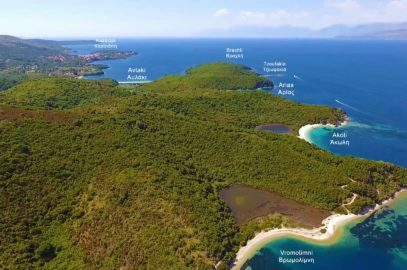 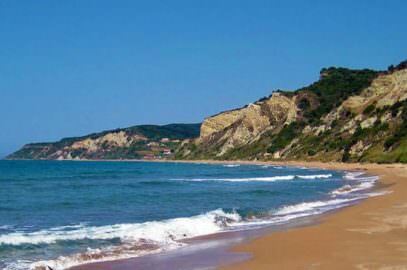 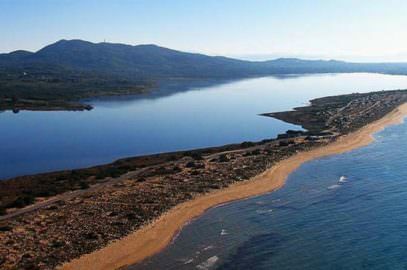 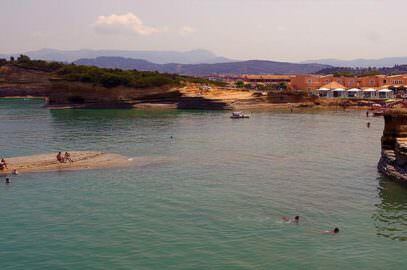 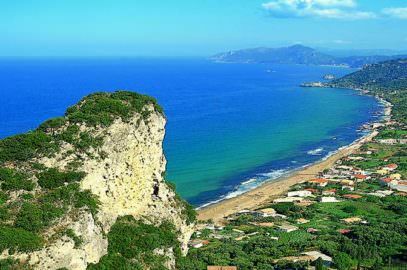 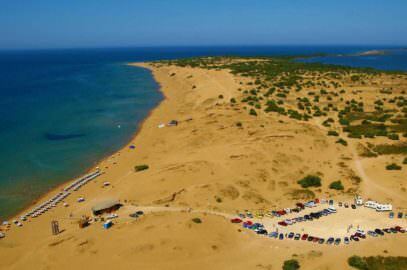 It lays on the west side, opposite the town in a distance of about 15 km, – a long sandy stretch at the bottom of a olive and cypress covered hill- looking out across the sea to Italy. 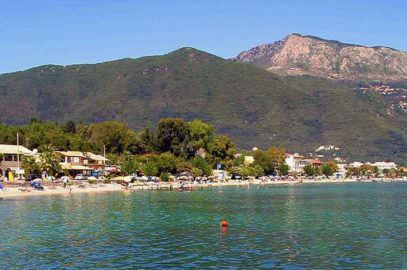 offers lively nightlife is well with many bars and is populated during day and night mainly by young people. 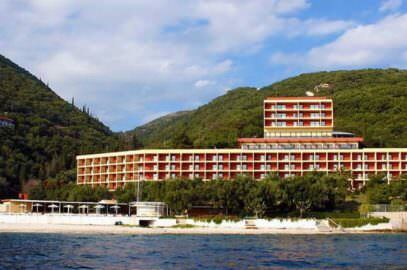 There is one large hotel on the beach, and many villas and apartments on the slopes of the hill. 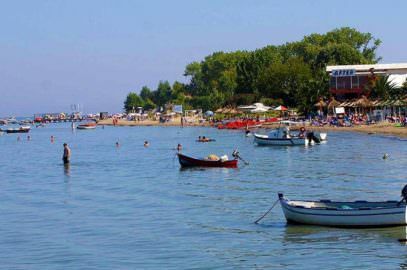 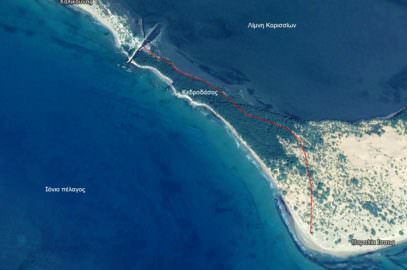 It is definitely a place for beach lovers, as there is no village as such, although you can walk to Pelekas and Vatos. 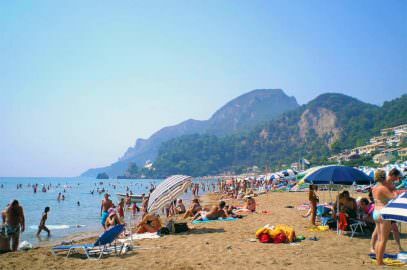 Buses from here go to Corfu Town, passing Aqualand, the largest water park on the island, and also going near the golf course in the Ropa Valley. 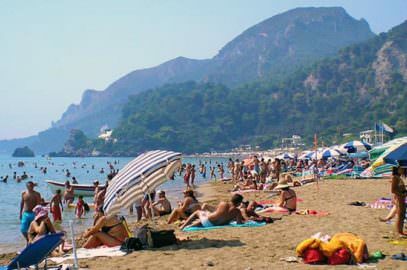 During the day families throng here, enjoying sand, sun, and lunch in one of the tavernas, but as the sun sinks down the younger generation take over, filling the bars and preparing to party well into the night. 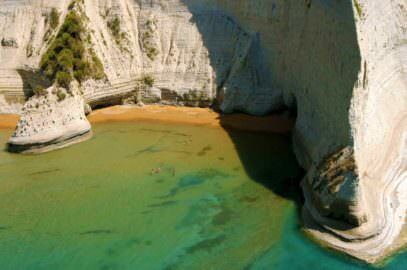 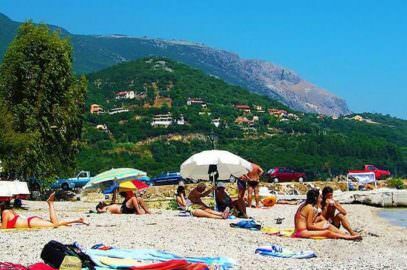 The next beach going north is one of Corfu’s prettiest, and smallest, Myrtiotissa, with a monastery on the hill above – strange then that this beach is the unofficial nudist beach of the island!